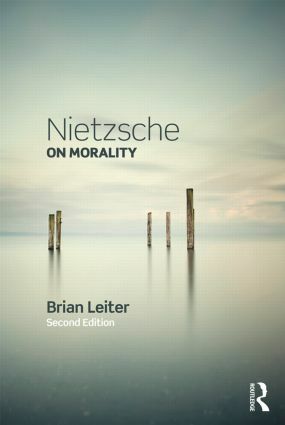 Both an introduction to Nietzsche’s moral philosophy, and a sustained commentary on his most famous work, On the Genealogy of Morality, this book has become the most widely used and debated secondary source on these topics over the past dozen years. Many of Nietzsche’s most famous ideas - the "slave revolt" in morals, the attack on free will, perspectivism, "will to power" and the "ascetic ideal" - are clearly analyzed and explained. The first edition established the centrality of naturalism to Nietzsche’s philosophy, generating a substantial scholarly literature to which Leiter responds in an important new Postscript. In addition, Leiter has revised and refreshed the book throughout, taking into account new scholarly literature, and revising or clarifying his treatment of such topics as the objectivity of value, epiphenomenalism and consciousness, and the possibility of "autonomous" agency. Brian Leiter is the Karl N. Llewellyn Professor of Jurisprudence and Director of the Center for Law, Philosophy & Human Values at the University of Chicago, USA, where he teaches and writes about moral, political, and legal philosophy in both the Anglophone and Continental European traditions.